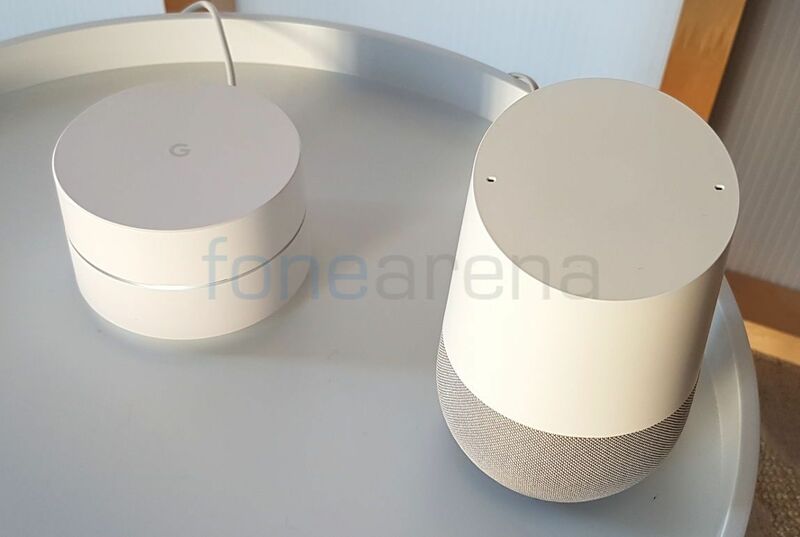 Google officially announced the Google Home voice activated device that comes with Google Assistant yesterday. We were live at the event and got our hands on the device. So let’s take a detailed look at the hardware and specs. 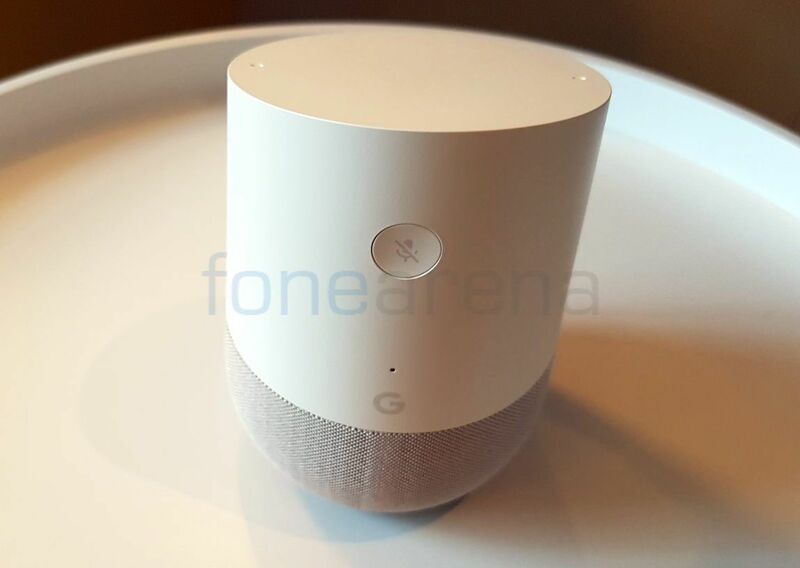 The Google Home has ‘G’ branding at the front along with a microphone and a physical mute button that lets you put Google Home’s microphones on standby. The top of the device is touch-sensitive and features a set of four dancing lights in the Google color scheme when a command is issued. You can use “Ok Google” command to play music using Google Play Music, Pandora, Spotify, TuneIn and YouTube Music. It offers real-time answers to things from an array of domains like cooking, news, sports and even basic day-to-day tasks like knowing the weather, stock markets and so on. The built in search feature on Google Home learns from your habits and patterns and knows you overtime. The bottom of Google Home is quite customizable thanks to the modular base that are interchangable in different colors. Google Home will be available in stores starting in November or you can pre-order yours today for $129 (Rs. 8580 approx.) from the Google Store, Best Buy, Target and Walmart.